Do you have photos, historical accounts or other items pertaining to the Vineland area? Would you like to share this historical information with the world? LakesnWoods.com would like to publish your Vineland photos (current or historical) or historical accounts on this website. Original materials can be returned and your privacy will be respected. 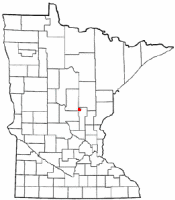 Vineland is an unincorporated community and census-designated place (CDP) in the Mille Lacs Indian Reservation portion of Mille Lacs County, Minnesota, United States. 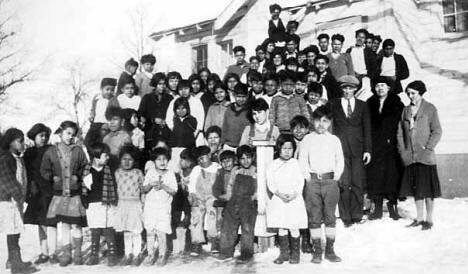 The population was 1,001 at the 2010 census. 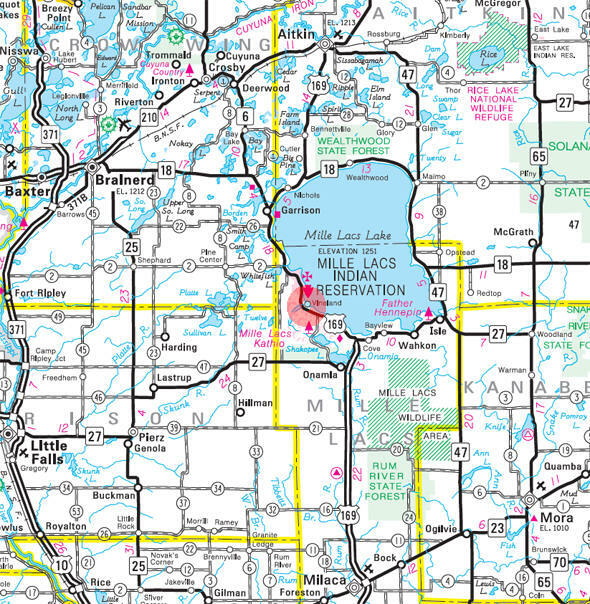 Its name in the Ojibwe language is Neyaashiing, meaning "on the point of land" due to its location on Indian Point (also known as University, Cormorant or Shawboshkung Point) of Mille Lacs Lake. 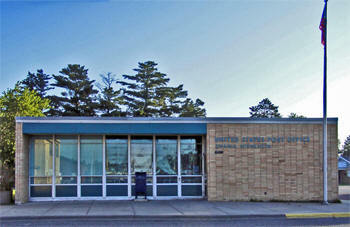 It serves as the administrative center for the Mille Lacs Band of Ojibwe. U.S. Highway 169 serves as a main route in the community. According to the United States Census Bureau, the CDP has a total area of 9.9 square miles (25.6 km2), of which 9.3 square miles (24.1 km2) is land and 0.54 square miles (1.4 km2), or 5.57%, is water. The elevation is 1,253 feet (382 m). As of the census of 2000, there were 607 people, 174 households, and 136 families residing in the CDP. The population density was 92.9 people per square mile (35.9/km²). There were 189 housing units at an average density of 28.9/sq mi (11.2/km²). The racial makeup of the CDP was 5.11% White, 94.40% Native American, and 0.49% from two or more races. Hispanic or Latino of any race were 0.82% of the population. There were 174 households out of which 46.6% had children under the age of 18 living with them, 16.1% were married couples living together, 49.4% had a female householder with no husband present, and 21.8% were non-families. 15.5% of all households were made up of individuals and 6.3% had someone living alone who was 65 years of age or older. The average household size was 3.47 and the average family size was 3.85. In the CDP, the population was spread out with 44.3% under the age of 18, 10.0% from 18 to 24, 25.7% from 25 to 44, 13.2% from 45 to 64, and 6.8% who were 65 years of age or older. The median age was 22 years. For every 100 females, there were 93.3 males. For every 100 females age 18 and over, there were 88.8 males. The median income for a household in the CDP was $20,208, and the median income for a family was $18,958. Males had a median income of $22,813 versus $20,938 for females. The per capita income for the CDP was $7,738. About 41.5% of families and 40.6% of the population were below the poverty line, including 46.7% of those under age 18 and 25.6% of those age 65 or over. 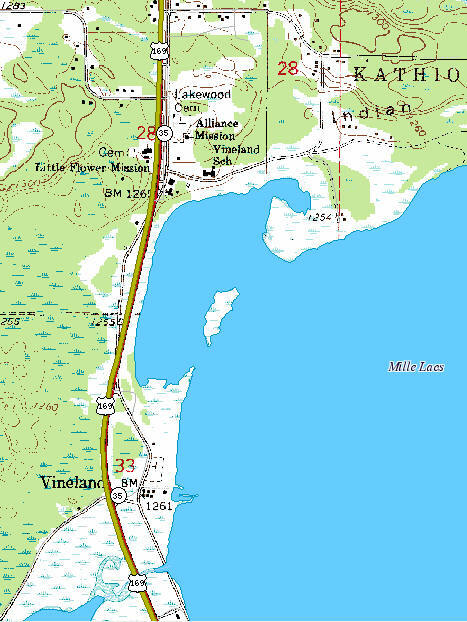 VINELAND, a village and port of Mille Lacs near its outlet, in Kathio, was named for the early Norse settlement on the northeast coast of North America in the year 1000, visited by numerous later voyages, which was called in the Icelandic language Vinland, meaning Wineland, from grapes found there. 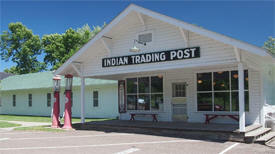 Its post office was called Vineland from 1891 to 1921 and Wigwam Bay from 1921 to 1929, at which time it was discontinued. 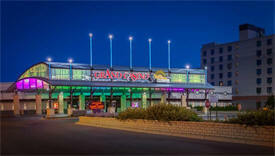 Grand Casino Mille Lacs is located just off of US Highway 169 and provides access to one of the most popular fishing spots in Minnesota: Lake Mille Lacs. We're proud to offer a 494-room hotel attached to the casino along with an indoor pool and shops. The Mille Lacs Indian Museum and Trading Post is a museum dedicated to the Mille Lacs Band of Ojibwe's history, culture, and contemporary life. It officially opened to the public on May 18, 1996. Located in Onamia, Minnesota, United States, it is one of the 26 historical sites and museums run by the Minnesota Historical Society. Climb to the top of the 100-foot observation tower that overlooks the park and Mille Lacs Lake, a must during the fall color season. 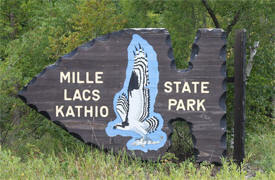 ♦ Hike the Landmark Trail (1 mile roundtrip) to visit the sites of former American Indian villages and explore part of the Kathio National Historic Landmark District. ♦ Visit the park's interpretive center to learn about the area's rich history and diverse wildlife. 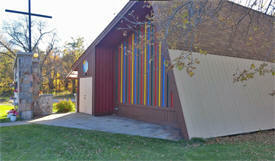 Discover the new Eddy’s Resort on Lake Mille Lacs! Fully transformed for a completely new experience, Eddy’s offers 64 guest rooms, 1 Parlor suite and 4 private cabins, each uniquely designed and enhanced with contemporary décor. Nestled on the western shores of Lake Mille Lacs, the resort features a new dining experience at The Launch Bar & Grill. Pristine views and delicious choices are what you will find in this restorative and peaceful destination. 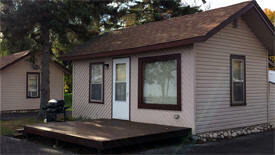 Rocky Reef Resort is a family-owned, full-season resort located on the Southwest shore of Lake Mille Lacs with Cottage-Style Cabin Rentals, RV Park Campground Sites for rent or purchase and a well maintained Boat Ramp. All our cabins and RV sites have beautiful lake views with kitchenettes, cozy living spaces, separate bedrooms & bathrooms and are just a stones-throw-away from the lake shore. Enjoy our juicy, hand-made, 1lb "Rockman Burger" and cold beer or cocktail at our Bar & Grill located on the best part of Lake Mille Lacs.